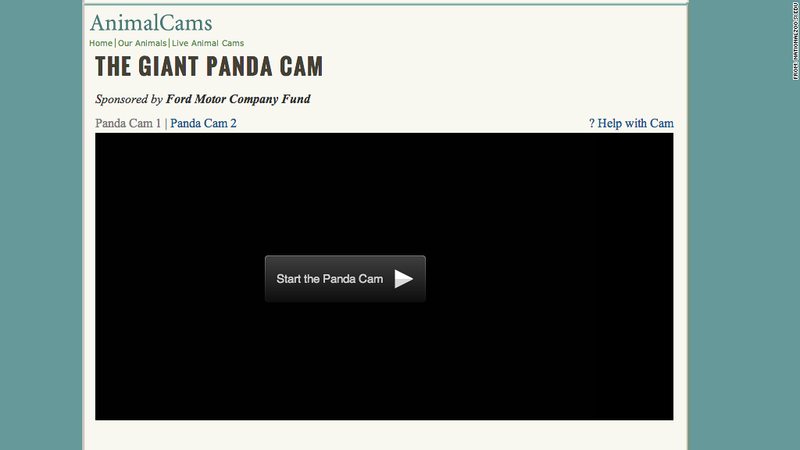 The National Zoo shut its Panda Cam Tuesday after Congress failed to pass a spending bill. The Panda and her cub have gone dark. The government shutdown has claimed one of its most beloved casualties: the National Zoo's panda cam. But animal lovers can rest assured that the zoo's endangered Giant Pandas -- Tian Tian, Mei Xiang, and an unnamed newborn cub -- will still be fed and cared for, the zoo said. The Smithsonian Institution was required to shutter many non-essential programs during the shutdown, including the Washington, D.C., zoo and its museums, because it receives federal funding. The panda cam is one of several live cameras that the zoo has trained on its animals. It's been a go-to portal for live cuteness since Mei Xiang gave birth to a female cub in August. The zoo operates over a dozen live cameras, including the fishy Amazon River cam, the you'll-miss-it-if-you-blink Cheetah cam and the multi-tentacled Octopus cam. Of the Smithsonian's 4,200 employees, fewer than than 700 would be allowed to work through a shutdown, and only a portion of those would be assigned to the zoo, which said it would staff around-the-clock care of the animals. The zoo normally relies on a mix of staff and volunteers to tend to the animals and serve its two million annual visitors. But volunteers aren't allowed to keep the main gates open, since all government agencies are barred from allowing employees to volunteer in the event of a shutdown. "While many staff may be willing to continue to carry out their research or other duties without pay, liability may result if we allow staff who are not identified as 'excepted' to work either at their office, from another site, or from home during the shutdown," the zoo said.